PRODUCT DESCRIPTION: Slow released granule which will slowly disperse over the treated soil in a month or two. 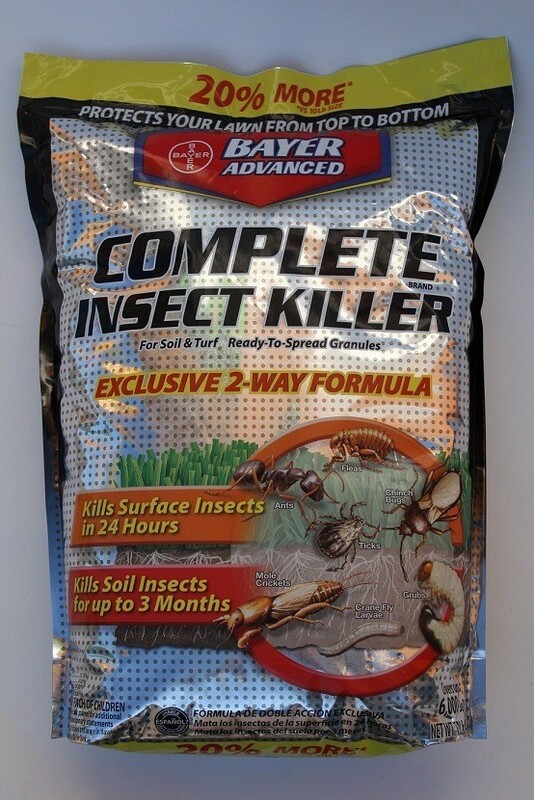 This will provide both residual and repellent action for a wide range of insects. These granules have low to no odor, look mostly white and pretty much not noticeable once applied. TARGET PESTS: Ants, centipedes, cockroaches, digger wasps, millipedes, pill bugs, scorpions, spiders and other insect pests. RATE OF APPLICATION: 10 lb bag treats up to 5,000 sq/ft. Is this effective on squash and box elder bugs? Will this harm dogs, cats, or beneficial pollinators such as bees? I'm planning to use in conjunction with cyanara. Keep dogs and pets away when doing the application. And once applied, you will need to activate the granules by watering them in with your garden hose or by spraying over the top using Cyonara RTS. Lastly, Complete Insect Killer Granules is a good choice for squash and/or box elder bugs. Now is it the strongest? Probably not. I'd say Bifen is a bit better performing. Lastly, our granule products won't impact flying pests like bees unless you apply them directly to their nest (which would be hard to do intentionally let alone by mistake). Will this kill mantids?? Also, will this poison any birds that prey on the insects that it is listed to kill? Is it ok if dogs or cats go on yard? Not sure what a "mantid" is so I can't answer that question. But regarding birds eating insects that die from the treatment; they will not be affected. Essentially the treatment will target pests which are in the turf like grubs or crickets and the affect it has on them is to impact their biology so that they essentially shut down and die. Once dead, they don't contain any kind of toxin that can be transferred to a bird or other animal that might eat the bugs that die as a direct result of the application. Lastly, pets and people can walk over the treatment and not be affected because the granules will be spread out and dispersed in such a way that they cannot present any kind of direct hazard.